If you’re continually seeing failure at budgeting, the best place to look is usually at the fundamentals. It only takes a fundamental mis-step or two to transform a well-planned and well-formed budget into a complete disaster. Here are ten very powerful things to consider as you build your budget that will point you on the right track towards success. 1. Know why you are budgeting. If you’re developing a budget just because someone says it’s a good idea, it probably won’t help very much. Similarly, if you’re just following the steps in a personal finance workbook because it suggests this is a great way to move towards financial success, budgeting won’t help much at all. The reason for budgeting is to help you spend less than you earn. It shows you where your spending weaknesses are and provides the structure for you to get stronger in those areas. I like using the “training wheels” analogy when describing a budget – it’s not a solution itself, but guidance towards being able to effectively and naturally spend less than you earn. 2. Have a specific, concrete long term goal in mind. For many people, it’s debt freedom. For others, it might be saving for a house or for the ability to make a career change. Whatever it is, having a big long term goal in mind, particularly something that would have a big impact on your life, is useful when planning a budget. Why? An effective budget is likely going to involve a few difficult choices. You’ll likely be agreeing to cut your entertainment spending and probably planning to do a few other things that on the surface seem like they’ll reduce the quality of your life a little. Knowing that these little choices are in fact adding up to something specific and tangible – and something that you really want – makes the process much more palatable. 3. Know how much you actually make. The correct answer here is not just your annual salary, nor is it dividing your annual salary into twelve parts for a monthly budget. Instead, you should be basing your budget on your take-home pay per month. Make sure you know exactly what you’re bringing home as a paycheck, because that’s the number you’ll use as the framework when you budget. 4. Have some accurate data when it comes to your spending, both monthly and irregularly. Similarly, when you go to plan a budget, it works best if you plan it based on real numbers. This means pulling out your bills and your receipts for the last month or two – all of them – and figuring out what you’re actually spending. Your first “budget” shouldn’t actually be a budget at all – it should instead reflect your spending in an average month. Don’t forget the irregular bills, either, like homeowners’ insurance, car licenses, auto insurance, property taxes, and so on. These bills shouldn’t be “unexpected surprises” – instead, you should be planning for them throughout the year by socking away a little each month for them. 5. Have savings accounts that have useful budgeting tools incorporated by default. Does your bank offer automatic transfers to your savings account (or, even better, sub-accounts)? Does your bank offer online bill pay? The answer to both of these should be yes. Now, does your bank charge you maintenance fees on your account? Do you have to pay a lot of ATM fees? The answer should be no. In short, if your bank is doing these things, they’re actively working against you in terms of making a successful budget work. Many banks offer these features – online bill pay, automatic transfers, no ATM fees, no maintenance fees, and often a nice interest rate to boot. 6. Have a simple budgeting tool that you understand how to use – start with pencil and paper if you have to. If you’re starting off by sitting down with Quicken or Microsoft Money and you’re quickly overwhelmed by the complexity of the software and the huge number of options available, it’s going to be a lot harder to convince yourself to keep going with this. Your first budget should be incredibly easy to use and manage – and you should understand it from the inside out. That’s why the best bet is usually to use pencil and paper for your first budget. If you want to move it to an electronic format, I’d recommend trying something simple like PearBudget Online or their free spreadsheet (if you’re familiar with Excel). That’s not to say that Quicken or Microsoft Money aren’t great options – they are. The problem is that they offer so many options that it can often overwhelm the new user, and if you’re overwhelmed, you’re quite likely to just give up because “budgeting is too complicated.” Don’t let that happen – start with simple tools, then move to more complex ones if you feel a need. Budgeting is like diet planning – it’s not going to work if you make huge, unrealistic assumptions right off the bat. If you’re trying to diet, moving to a lettuce and tofu diet might work for a few days, but eventually you’ll crack. A much better solution is to be realistic – instead of drinking a sugar and fat-heavy coffee in the morning, cut down to a low fat version, and instead of eating a double cheeseburger for lunch, bring your own cold cut sandwich. Small steps work; big steps result in failure. The same rule applies to budgeting. Don’t pledge to reduce your entertainment spending by 80% – it won’t work over the long haul. Instead, just average out what you’ve spent on entertainment for the last few months, and pledge to a cap of just 5 or 10% below that average. Then, after some time and some success, trim it a bit more. Going whole hog right off the bat will almost always end in failure over the long run. 8. Have some support from at least one other person. Whenever you’re attempting to make a significant change in your life – and a budget is a harbinger of significant financial change – things always go better with support. Look to your spouse, your parents, or your closest friends for help. If you’re surrounded by a group that’s actively committed to overspending, you’re in the midst of negative support – the kind of support that will cause you to abandon your plans. Take some tentative steps to find a less materialism-oriented crowd to spend your time with. 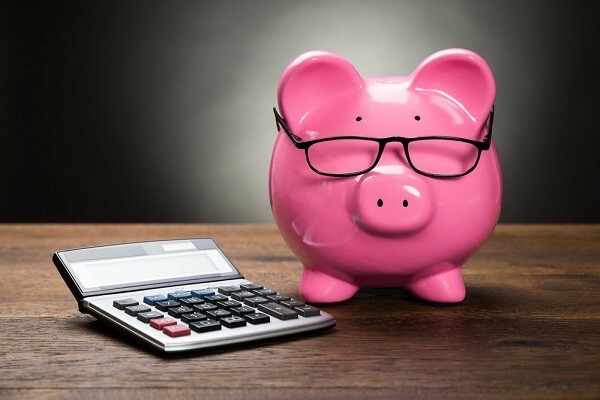 After all, if you’re considering a budget, you’re also considering a significant shift in direction when it comes to your money choices, so take it a step further and find healthy support for these new choices. 9. Set some very short term goals that you can easily achieve if you stay on budget. While long-term goals are great for feeling good about your general direction, they don’t always help with the day-to-day choices. It’s easy to convince yourself that one little slip-up won’t actually hurt your big goals (even though they do, because one little slip-up is often just the first pebble in an avalanche). One powerful solution is to develop some short term goals to go along with your long term goals. Set a weekly food budget and splurge on a pint of Dove ice cream if you stay within it. Set a monthly entertainment budget and go out to a guilt-free movie if you’re within budget at the end of the month. It’s the simple motivations that work the best. 10. Don’t be afraid to adjust, even radically. There will usually be moments when you’re learning to budget when you discover that some element of your budget is just not right. It’s not realistic because you forgot about some key piece of information while making your plans, and that means the budget you developed doesn’t really work. Don’t panic. Don’t abandon your plans. Just go back to your plans, make the needed adjustments, and start over again. This is normal – it happens to everyone. It does not mean your budget was a failure at all – it just means it needed to evolve a little bit. Financial freedom is a powerful and beautiful thing. Good luck in taking the first steps to get there.